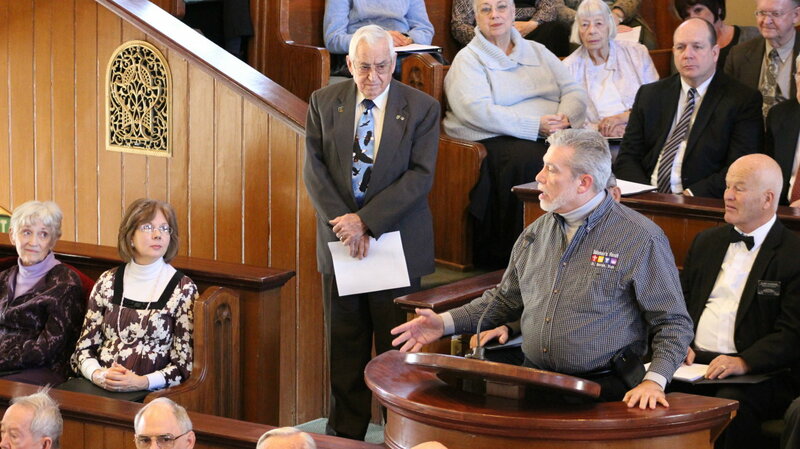 ST. GEORGE — “Prayer Over the City,” an annual New Year’s Day event promoting peace and unity for the coming year, returns to the St. George Tabernacle for 2019. Organized by the St. George Interfaith Council, Prayer Over the City will be held at noon in the tabernacle for the first time in two years. The event had been held at the Eccles Center on the campus of Dixie State University while the tabernacle was renovated. Prayers will be offered by 16 faith leaders from churches in the St George area, including The Church of Jesus Christ of Latter-day Saints, Presbyterian Church, Solomon’s Porch, Lutheran Church, Center for Spiritual Living, Jewish community, Community of Christ, Methodist, Baha’i and others. Prayers will be focused on specific topics such as families, current and veteran military personnel, first responders, educators and more. Rabbi Helene Ainbinder, vice president of the Interfaith Council and who leads Beit Chavarim Jewish congregation, said she enjoys the Prayer Over the City because of the unity it provides. Prayer Over the City has a 14-year history that began with Pastor Jimi Kestin of Solomon’s Porch Foursquare Fellowship, when he gathered friends and other ministers at Pioneer Park by the Dixie Rock to pray to God to bless the city and its residents in the new year. While faith traditions with differing beliefs and doctrines are represented at the event, they come together in a sense of fellowship during Prayer Over the City, Kestin said. The program begins at noon New Year’s Day in the St. George Tabernacle, 18 S. Main St., St. George.